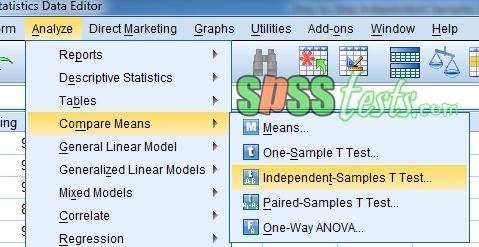 Step by Step Independent Samples T-Test in SPSS 21 | The main use of Independent sample t test is to compare the average of two case groups. In order for the results of the study to be good, the subjects studied should be randomly selected for both groups being compared. This is done if there is a difference in the answer because of the treatment or lack of treatment, not because of other factors. 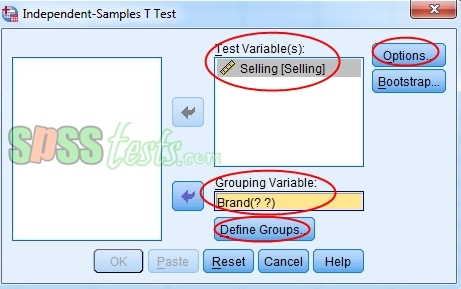 To compare the average of two small samples, the requirements to be met are the samples having the same variant. For example, we will compare the average selling for both Samsung and Lenovo mobile phone brands. The main purpose of this research is we want to know whether there is a difference in average selling of both brands of mobile phones. This experiment was carried out in 10 stores to customers who had bought cell phones frequently in their stores. From both stores we want to know what brand mobile phones are more in demand by buying so as to affect the average selling of both brands of mobile phones. In this experiment customers are only faced with two brand choices, namely Samsung and Lenovo. Selling data for both brands of mobile phones are listed below. To answer the above problems, the following steps are required. Click the Values set button until the Value Labels dialog box appears. 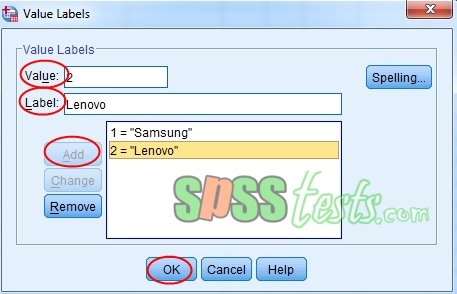 Enter 1 in the Value column, and write Samsung in the Label column, Click Add. 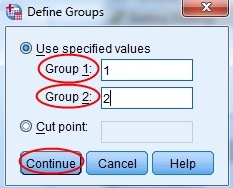 Enter 2 in the Value column, and write Lenovo in the Label column. Click Add. 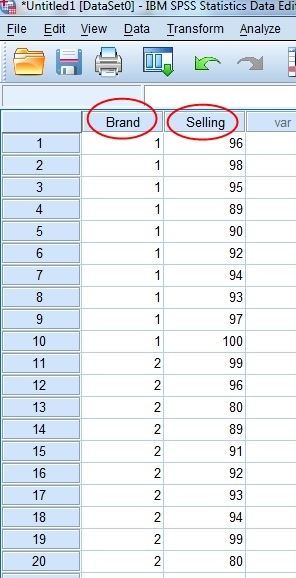 The second output is modified through the Pivot Table process by clicking the second place in the second output, then select Pivot - Transpose Rows and Coumns. The table will be changed to as below. If the probability or Sig. > 0,05, hence there is no difference of variance between respondent group of buyers of Samsung and Lenovo mobile phones. If the probability or Sig. <0.05, then it means there is a variant difference between the group of respondents buyers Samsung and Lenovo mobile phones. The F number that assumes both variants is 2.376 with Sig probability. of 0.141. Since the probability number Sig> 0,05 (0,141> 0,05), hence meaning there is no difference of variance between group of respondent buyer both brand of cell phone. Using this test use Equal variance assumed. While the difference difference mean (Mean Difference) of 3,100 is not significant. From the above output is known the average selling of Samsung mobile phones of 94.40, while Lenovo at 91.30. Descriptively, the average selling of Samsung mobile phones is bigger than the average selling of Lenovo mobile phones. 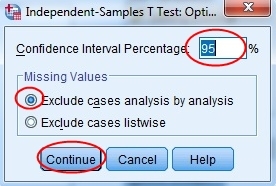 0 Response to "Step by Step Independent Samples T-Test in SPSS 21"